Tom Foley's Danoli a six-time Group One winner has died of a severe bout of colic at the age of 18. The gelding was put down at the National Stud in Kildare over the weekend. "They tried everything they could and had no choice but to put him down, which was a great pity," said Foley. "He was a great horse for us and we will always have fond memories. "Danoli won 17 of his 32 career starts with the fondest memory being his Sun Alliance Novices' Hurdle success at Cheltenham in 1994. Foley's charge also went onto win the Aintree, Morgiana and Hatton's Grace Hurdle under Charlie Swan and the Hennessy Cognac Gold Cup under Tommy Treacy. 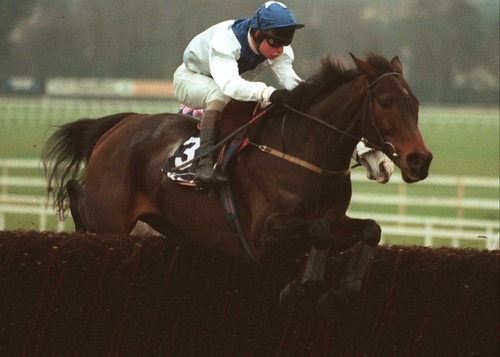 "People loved him because he was such a tough and genuine horse," Swan told the Racing Post. "If he could have jumped fences as well as he did hurdles, he could have even been a Gold Cup horse."